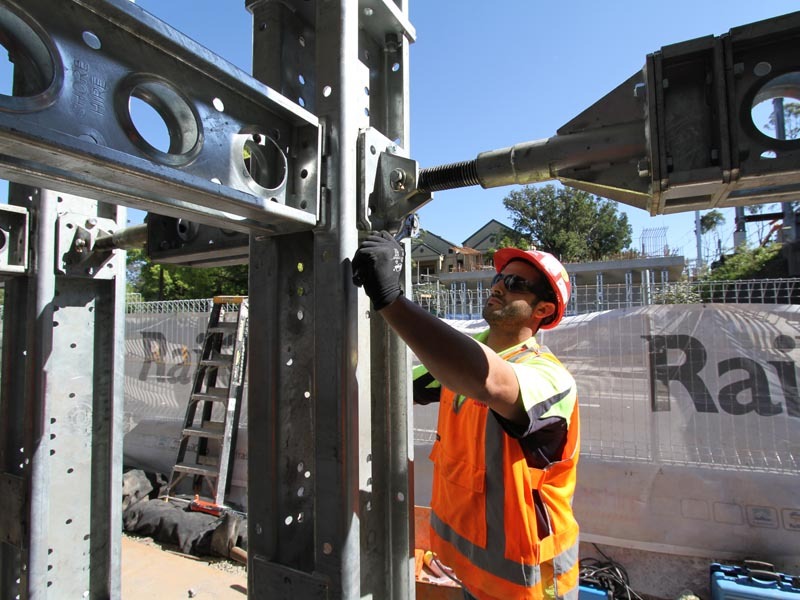 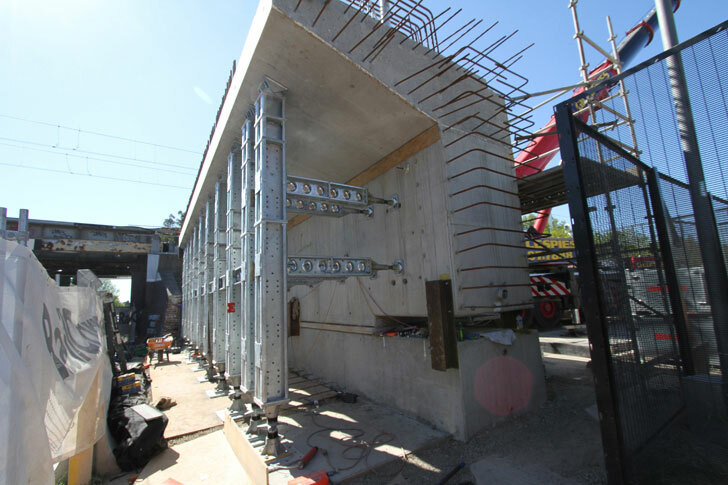 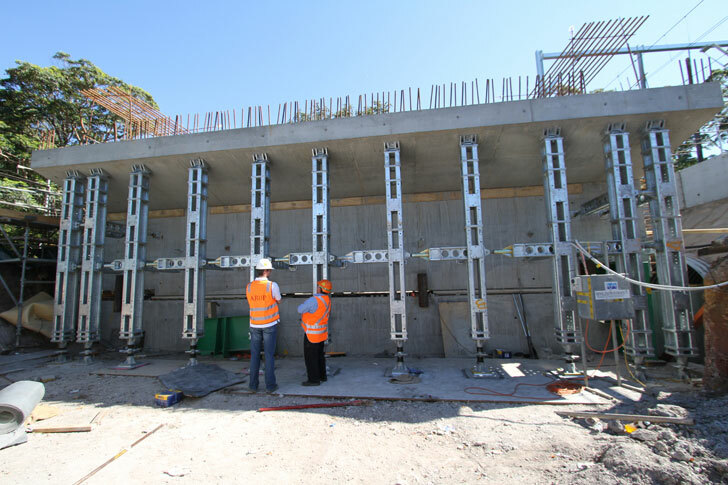 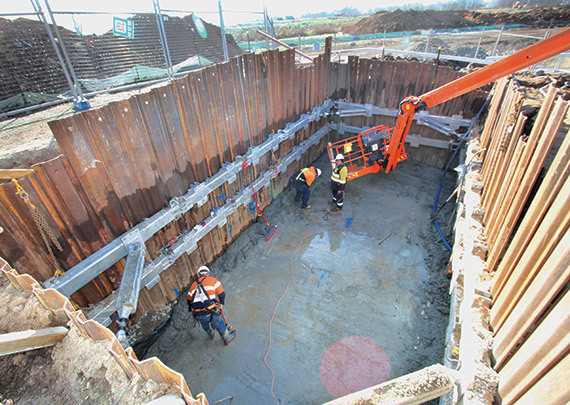 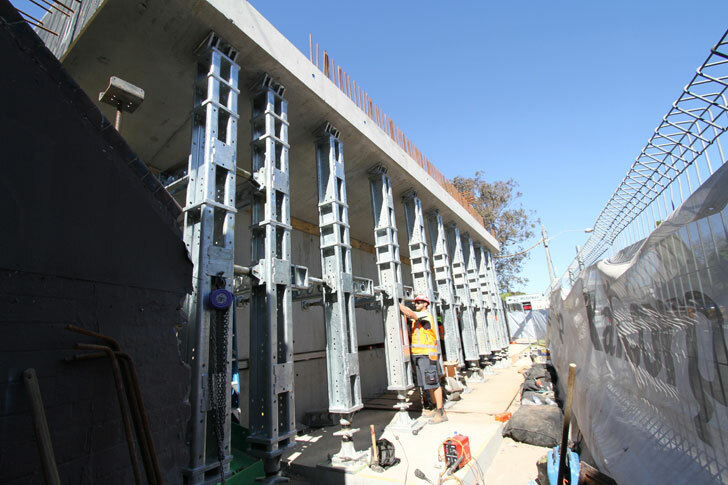 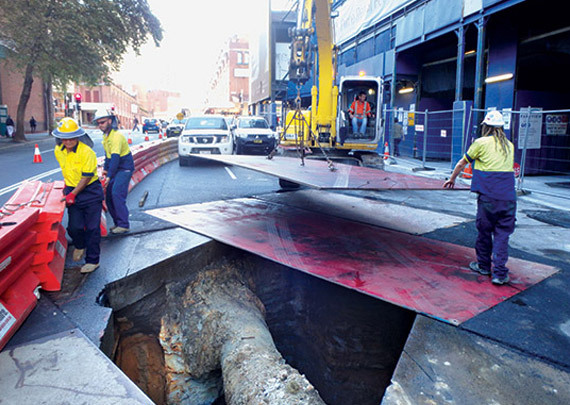 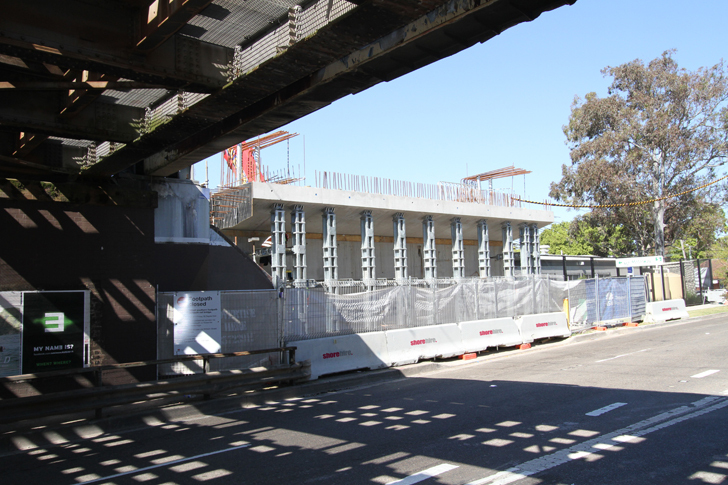 Shore Hire’s engineering division was engaged to assist in delivering a solution to support an abutment for the installation of a new rail bridge as part of ongoing upgrades to Sydney’s rail network. 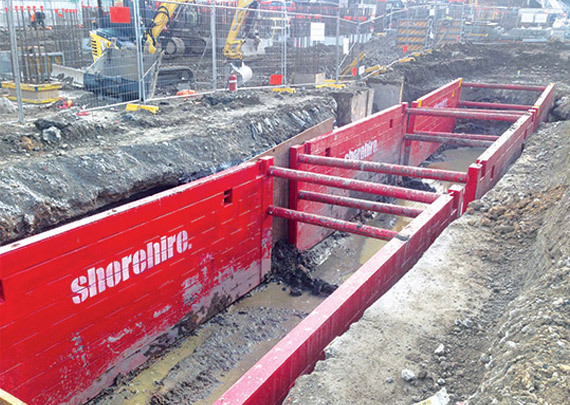 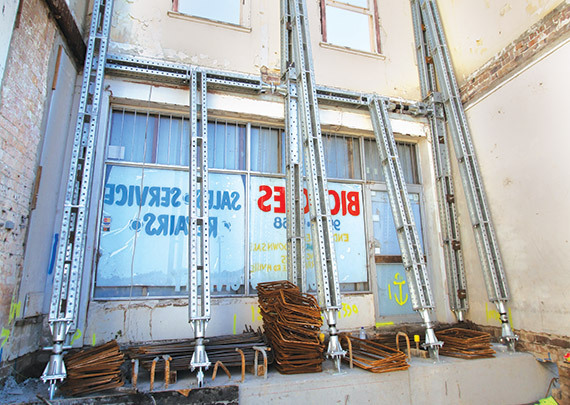 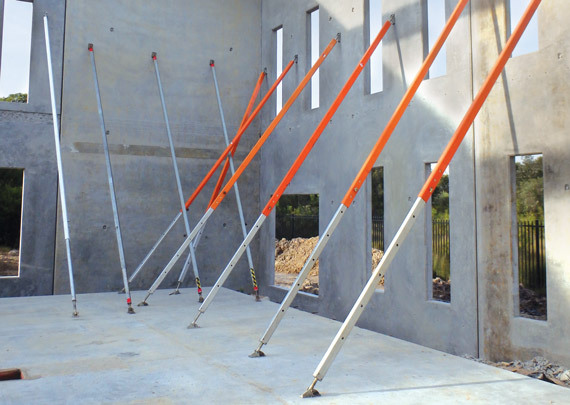 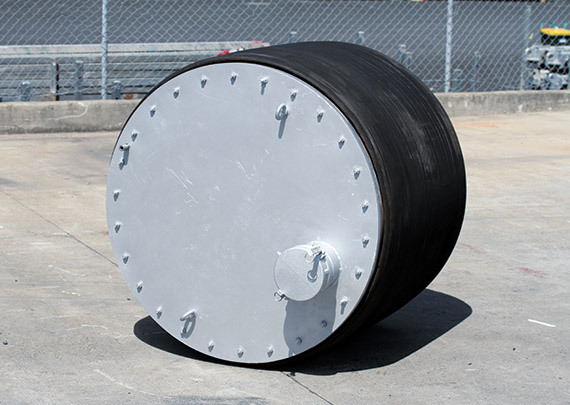 Shore Hire specified Shore 1000 props to provide heavy duty load-bearing, with Shore 100 as lateral bracing in order to support up to 100 tonnes per prop. 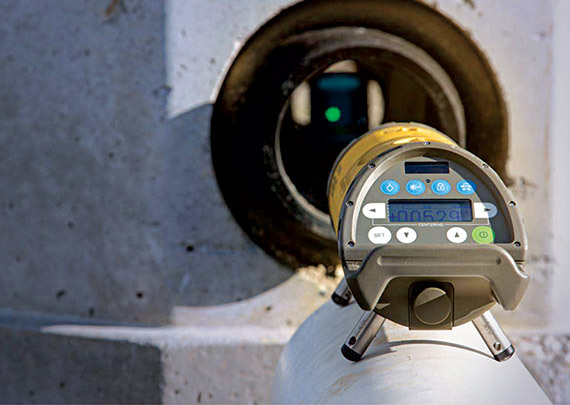 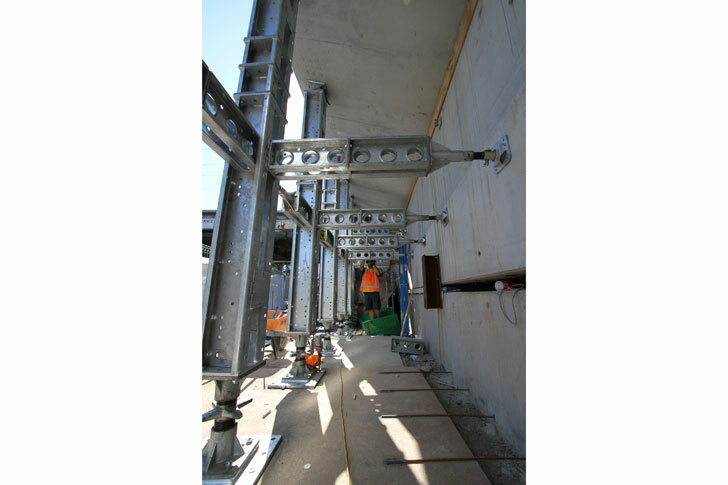 The solution highlighted the interoperability of the two systems, providing flexibility and adaptability in a multitude of construction environments. 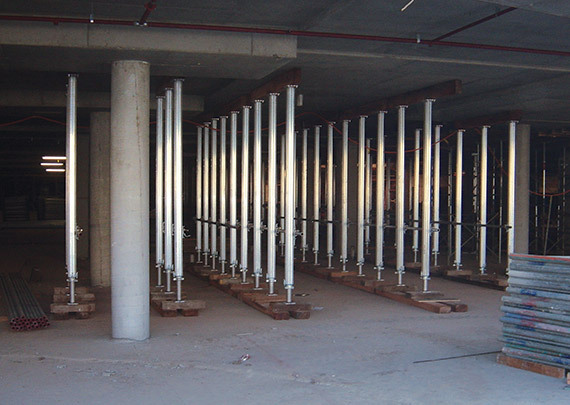 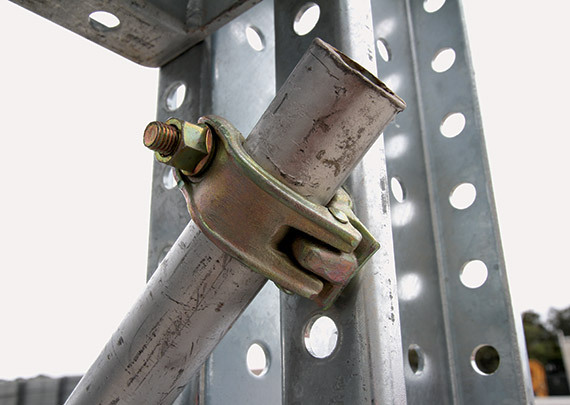 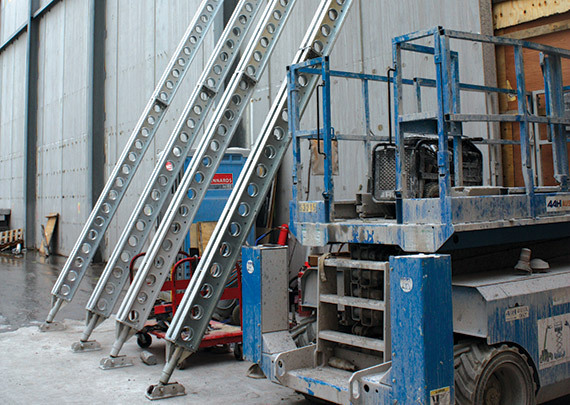 Shore Hire’s qualified team of riggers assisted the client to ensure the tight time-frame for installation was achieved. 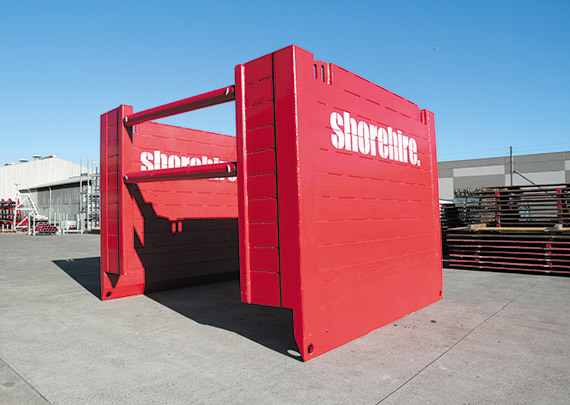 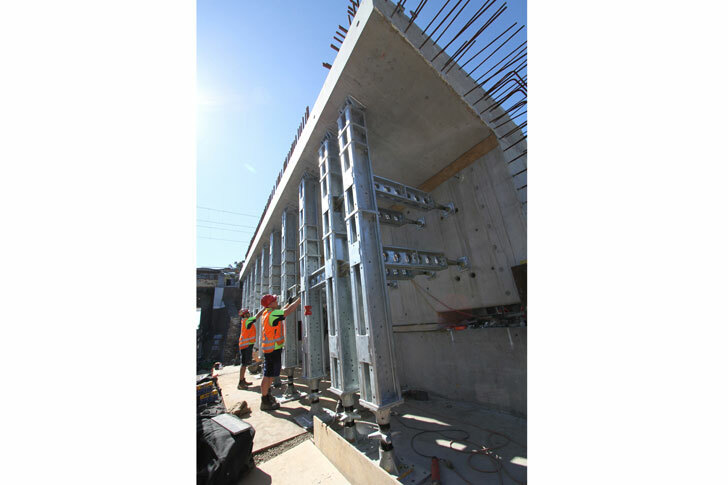 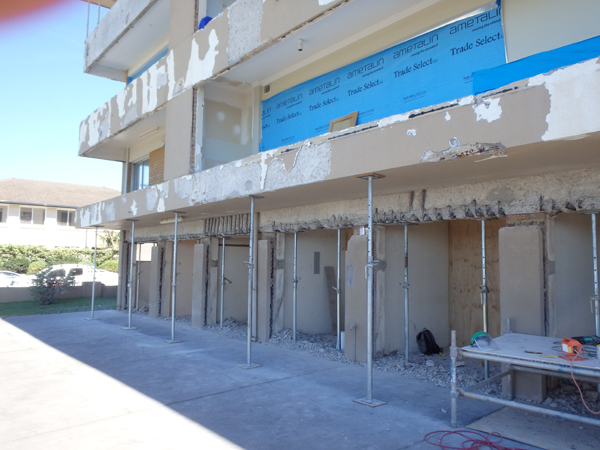 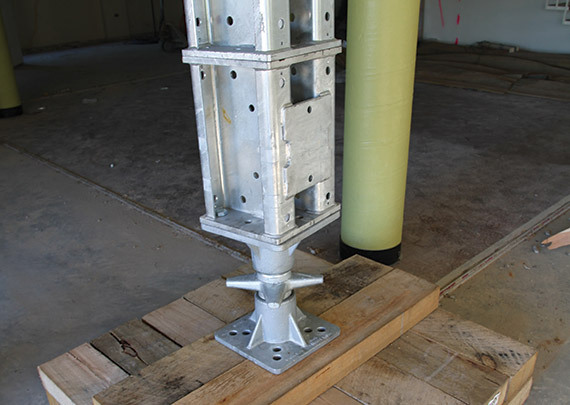 Shore Hire’s in-house project engineer designed the propping structure, oversaw its installation and provided certification once completed.